To gain real insight into today’s hydrographic business landscape, Hydro International asked some of the sector’s most influential companies for their opinions. This series of Q&As focuses on the current state of the industry from various perspectives, such as which technological developments will have the most impact on the market, which market segments are the most promising and which areas offer the most growth. Here, Dr Jonathan Beaudoin, co-director of QPS, shares his views of and expectations for the business. How do you expect the hydrographic market to evolve over the coming year? 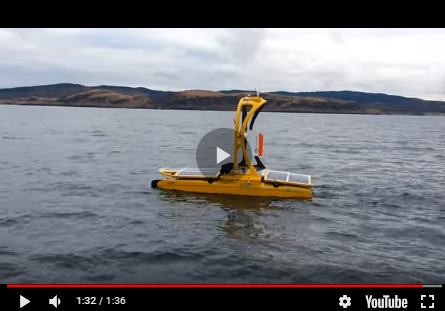 As AUV and ASV platforms become more effective force multipliers, we'll see ever-increasing leaps in autonomous surveying as companies strive to become more cost-effective. Along with this will come many new AUV and ASV manufacturers. With increased global focus on climate change, together with instability in oil and gas due to geopolitical factors, we anticipate continued work going to support the renewable energy sector – most notably, offshore wind farms. This work has complex and multi-faceted requirements, which means a greater need for data fusion – specifically, the integration of multiple streams of temporally and spatially variant datasets to best aid decision-makers. Also, changes in sea ice conditions will open new trade routes and natural resource development areas, which together will bring about a new era of exploration. In what ways could the ocean technology industry benefit from artificial intelligence and/or machine learning? Autonomy can only get so far without artificial intelligence (AI), otherwise, it will only ever be unmanned as opposed to autonomous. AI is enabling technology that will facilitate and accelerate autonomy. Running a line plan is one thing, but it is the more sophisticated on-the-fly adjustments and decisions that have a tremendous impact downstream. With these capabilities, companies will be able to meet the demand they'd normally be too resource-constrained to handle. Machine learning benefits most from big data, and with ever-increasing data volumes being collected, there should come an automated means of ensuring data quality and less of the tedious - and costly - human intervention that was necessary in the past. How is your company addressing the market for autonomous vehicles? QPS has provided autonomy in its survey software from the very beginning; it has always been our goal to let the machine work for you, instead of the other way around. The QPS philosophy of ’doing things right the first time’ is a good example of this. Our acquisition software QINSy has long since laid the groundwork with remote user interaction, system monitoring alerts, and data processing, gridding, and mosaicking – all in real-time. Since then we've achieved integration with several key autonomous survey vessel manufacturers, with such functionality to include mission planning, automation, systems interfacing, control and monitoring, as well as post-acquisition solutions. Most recently we've added an auto-survey function that dynamically adjusts line plans based on the real-time processed data of the adjacent line, thus, the correct overlap of data is guaranteed and there are no data gaps. Altogether, our autonomous functionality combined with our real-time processing, work to reduce both processing hours and precious ship time. What could governments do to support the new market for automated surveying? Be open-minded and willing to work with industry. Governments can choose to foster growth, for example, by supporting R&D efforts in the academic and private sector, or by granting incentives for automated shipping that will naturally benefit the surveying industry. Adding autonomous solutions in public tenders would add further stimulus and result in more innovation. Additionally, there is the issue of net neutrality, and maintaining it will help keep the cost of data transmission low, which will facilitate remote connections to autonomous platforms while also promoting cloud processing. What is the main technological advancement to watch for in the future? Hardware costs will decline, and autonomous turn-key solutions will proliferate. The role of a surveyor will change dramatically, shifting from the management of a single vessel to a whole fleet of autonomous vessels. Embedded smart algorithms will facilitate not just autonomous surveying, but in the setup, processing, management, and quality control of data as well. These will bring the art of hydrographic surveying to a wider base. Anybody could be a surveyor. The Unmanned System: A New Menace to the Hydrographic Surveyor Profession?